The most cost-effective option for any renovation, our beautiful laminate countertops are great if you’re looking for a low-cost kitchen upgrade. A budget-friendly countertop doesn’t have to hinder your kitchens appearance. Laminate kitchen countertops have come a long way! 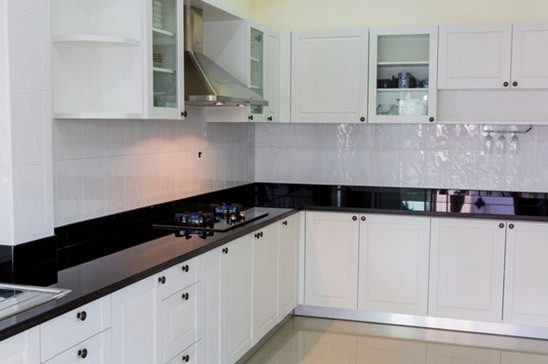 If you’d like an expensive looking granite finish without the cost or upkeep of actual granite, our FX series of laminate countertops can deliver your preferred aesthetic. Through the use of high-resolution photography, this particular series of laminate countertops displays real pictures of granite stone. Intrigued? 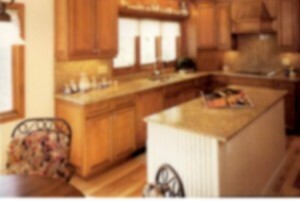 Ask us about the other types of laminate countertops we offer. Our large variety of colours, finishes, patterns and edging options will ensure that your laminate countertops blends seamlessly into your overall kitchen design. London laminate countertops are a great option for those who want an easy-to clean, fuss-free surface for their kitchen. Easy to care for, your laminate countertop will last without the fuss of constant upkeep. Simply use cutting boards to avoid scraping your counter, and your laminate will look brand new for years to come. Visit our kitchen gallery to find photos of our previous laminate countertop renovations! You can expect our laminate countertop installation team to be professional, courteous and efficient — and in and out in just a few hours! Our team of installers ensures the finishing touches are expertly applied and you are completely satisfied with your new countertop. You can count on us for a high quality, professional installation that gives you the results you desire. Experience the expertise and dedication that makes Just Kitchens the best choice for your laminate countertop installation services. Interested in renovating your London, Ontario kitchen with a beautiful and practical laminate countertop?